A decade ago, Snoop Dogg released his, in my opinion, mediocre eighth album Tha Blue Carpet Treatment. This year, he's inspiring a different sort, as rap fans, pop culture historians, and politicians alike ask themselves, "Why is Snoop Dogg at the Democratic National Convention?" The Dogg himself is set to headline the DNC's post-convention "Unity Party" on July 28, which is the last night of the convention. That means while Republicans are nursing their hangovers and wondering what, exactly, happened to their party after their convention in Cleveland, Ohio, well-heeled Democrats will be dancing along to "Sensual Seduction" and "Drop It Like it's Hot. "Because really, what screams "unity" louder than a bunch of politicians grooving to hip hop's own elder statesman? 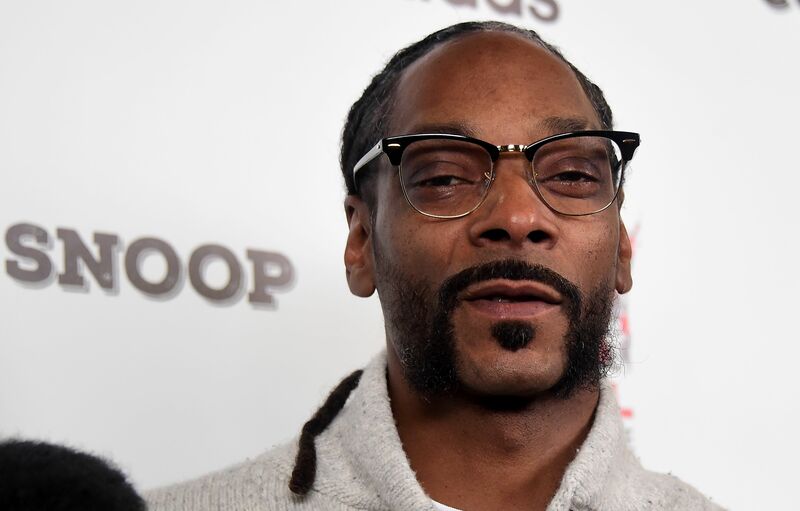 Snoop fans will remember that last year, just days after Hillary Clinton announced her presidential bid, the seasoned rapper publicly endorsed her on "Watch What Happens Live". He also endorsed Ron Paul in 2012 for his views on marijuana legalization, causing some to wonder if this is the party's way of saying they're down to (legally) smoke L's while sipping on gin and juice. While it's unlikely that Snoop will encourage the potential next president of the United States to "hold your blunts in the sky" like he did when I saw him in 2003, it's still amusing to think about a bunch of old, white senators asking each other what a "fine dime brizzle" is. There's no word yet whether Bernie Sanders' BFF Killer Mike will also be in attendance. While the inclusion of Snoop Dogg on the DNC's bill is surely interesting from a pop culture standpoint, it's easy to view the move as a superficial effort to gain support from African-American voters in an attempt to prove how "down" the party is. Clinton in particular was accused of pandering when she told a radio interviewer that she always carries hot sauce and attempted to be Hispanic voters' abuela. The decision to invite a successful rapper decades away from his Long Beach upbringing to perform for a majority-white audience presumably gathered to celebrate the nomination of a woman who, in 2008, painted then-candidate Barack Obama as "fundamentally un-American" is far from revolutionary.